This is the support structure underneath a single DLP mirror. 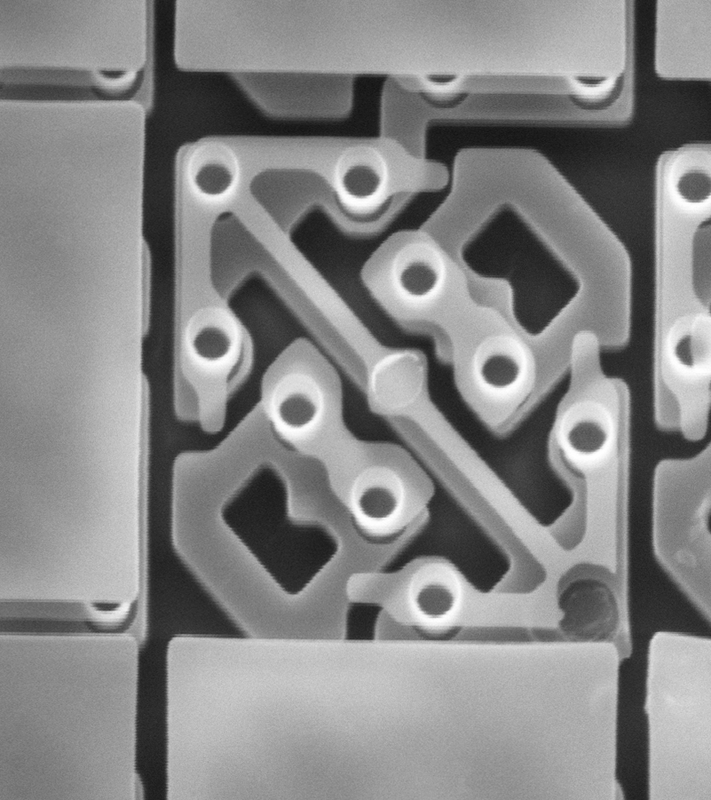 The width of each mirror is about 10 microns. I experiment with zinc oxide in a vacuum chamber, and answer your questions from the previous video. If this format is successful, I'll do another Q/A session in the future. Submit your questions for Ben in the comments section for a Q and A session next week. Heating zinc oxide with a blow torch causes it to turn from a white powder into a golden yellow. The process reverses when the substance cools back down to room temperature. The heat drives out some oxygen from the ZnO lattice, cause some locations to have a Zinc metal ion. This disruption in the lattice is able to absorb more blue and violet light, causing the overall substance to look yellow. A Crookes radiometer is driven by a thermal gas effect, and not "light pressure" as often thought. I demonstrate the radiometer in a vacuum chamber and explain its optimal running pressure.